Neighborhood development—specifically in my neighborhood of Beverly/Morgan Park, but also the general concept—has been on my mind for the last couple years due to volunteer work I’ve been doing. I serve on the board of the Beverly Area Planning Association (BAPA), I’m a board member with the Southwest Chicago Diversity Collaborative (where we’re working on the launch of a spring festival that highlights the need for more bike- and pedestrian-friendly neighborhoods), and I work with the Beverly Area Arts Alliance, where I produce a live storytelling series called The Frunchroom that tells stories about the South Side that don’t always make the headlines. Like most volunteer work, there are intrinsic and extrinsic benefits. I love where I live and I want to see great things happen here. I own a house, so a good neighborhood means good property values. More art and less racism means my blood pressure stays low. That sort of thing. But I also see it as part of a larger belief about where neighborhood development should and must come from: a participatory community that has a voice in our neighborhood—and city. It’s the opposite of the typical top-down, politically driven model Chicago has often embraced. A couple years ago, I wrote and performed “May the tavern rise up to meet you” at The Frunchroom. (Say, have you checked out our podcast, The Frunchroom: Stories from Chicago’s South Side, yet?) In it, I suggested that bars can be a place of true community and an economic driver, particularly in those places that elevate artists and writers. It may have been a bit self-serving or even meta, considering that I was saying it in a bar during the storytelling series I was producing with a group that showcases art in bars, but that didn’t make it any less true. I’d witnessed it as over the last few years more young families had moved into Beverly and Morgan Park, attracted by the home values and classic Chicago neighborhood feel. The piece goes on to quote real estate agent and Morgan Park resident Francine Benson Garaffo, who says that new groups and businesses formed in the past few years have “brought a new energy into Beverly,” and highlights two new breweries and a meadery, as well as the Arts Alliance and The Frunchroom. We have to recognize what a hard turn this was, especially when the Arts Alliance’s Art Walk and Horse Thief Hollow (one of the two breweries mentioned) debuted. At the time, there was nothing like those breweries in the neighborhood. While both were warmly embraced, Western Avenue was (and still kind of is) a haven of shot-and-a-beer joints. And while there were some art galleries in the neighborhood, most are like the Vanderpoel Art Museum—gems galore, but hidden away, and not something the neighborhood was known for to outsiders. These changes are due to individuals who envisioned change and put entrepreneurial thinking behind it. It wasn’t thanks to a city or ward office development plan (though such a thing would certainly be welcome—and come to think of it, why doesn’t that exist?). It was people—many of them volunteers—banding together in common cause who then attracted like-minded folks to follow behind them. Horse Thief begat Open Outcry and the Meadery. The Art Walk begat The Frunchroom. Et cetera. You see this spirit of volunteerism-meets-entrepreneurialism in BAPA as well. Though it has only three full-time staff members, it has an army of volunteers, homeowners, and local businesses who make it possible to create a yearlong slate of events like the Ridge Run, the Beverly Home Tour, Bikes and Brews, and more. They’re also not afraid to take on the city and advocate for the neighborhood, like in the current campaign to save the Ridge Park fieldhouse after years of neglect. In a time of upheaval for Chicago Public Schools (CPS), it’s worth noting that people are moving to the 19th Ward because of our public schools. The article specifically mentions Kellogg Elementary as a reason why this family moved here. And that’s in spite of—not because of—efforts by our alderman and the mayor’s control of CPS. Because if they had had their way, Kellogg would be closed. In September of last year, 19th Ward Alderman Matt O’Shea revealed to the public a plan that would close or merge three 19th ward public elementary schools: Keller, Kellogg, and Sutherland. This would have had deleterious effects on Black and low-income students and would have affected the two schools (Keller and Kellogg) with the highest CPS ratings. Due to significant public objection, O’Shea dropped this plan, which was supposed to be necessary to provide $40 million to solve overcrowding issues at two other public elementary schools in the Ward: Esmond and Mount Greenwood. Somehow, even without closing or merging those three schools, the $40 million was found anyway and the plans to build annexes at Esmond and Mt. Greenwood proceeded. Since then, there’s been little public information provided on the status of these plans. Keller has maintained a 1+ rating (which indicates that the school is in ‘good standing’) for two years running with a slight (0.41 percent) enrollment increase. Kellogg has maintained a 1+ rating for two years running and increased enrollment by three percent this year, bucking both ward and city trends for CPS. Though Sutherland’s enrollment dropped, its rating improved to a 1 and it recruited a new principal with such a stellar record that the Local School Council voted unanimously to hire her without having to narrow its choice down to a set of finalists. Like our burgeoning art and microbrewery scenes, this all happened because of people who stood up for the kind of community they wanted to see thrive here. 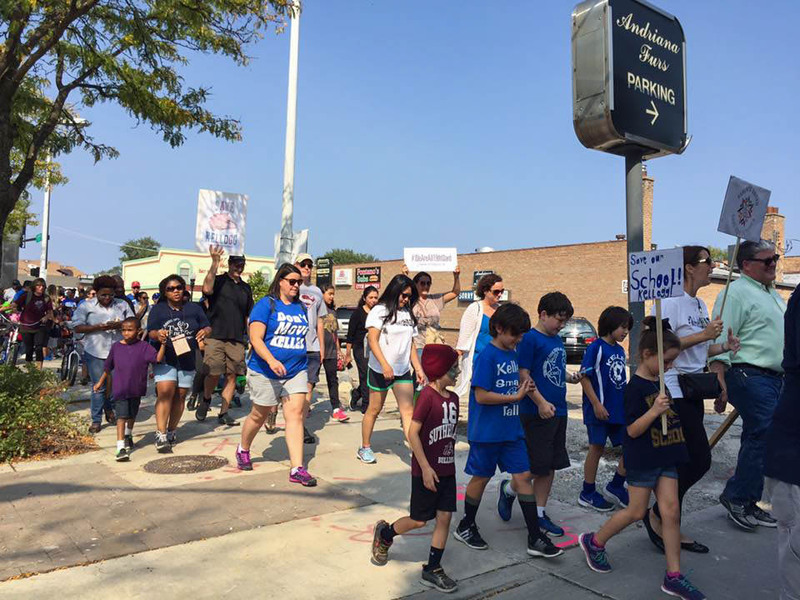 But in the case of our public schools, it required them to stand up against Chicago’s ward/machine politics and literally fight City Hall in the form of a 250-person march last September. See, back in July of last year, it turned out that O’Shea was talking to Mayor Emanuel about his schools plan—a month and a half before he talked to any administrators at the affected schools, LSC members, public school parents, or the general public. All this was revealed in the email dump spurred by a Freedom of Information Act request from the Tribune and the Better Government Association. If you have a vision for change in your community, you and your friends have the power to make it happen. Decisions about our communities—especially our schools—should be participatory, not hatched in secret. 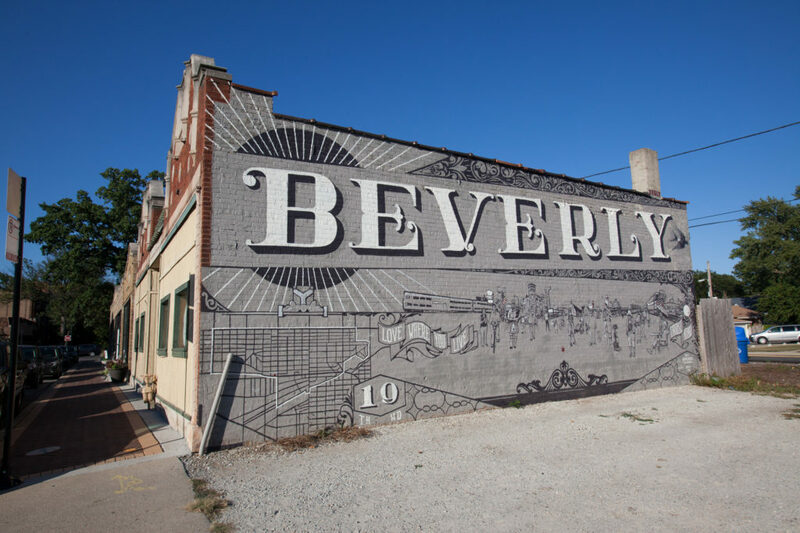 When the 2019 mayoral and aldermanic campaigns roll around, I expect that O’Shea and Emanuel will talk about Beverly’s home prices on the rise and take some credit for that. But I wonder if they’ll mention the people who actually made it happen, sometimes in spite of their own wishes. They’ll talk about how much money they’ve brought to two schools in our community. (I’ll never forget how Emanuel said the money was coming to Mt. Greenwood “because your alderman was nice to me.”) They’ll hope we’ll forget they tried to damage three schools experiencing growth and success. Scott Smith is a resident of Beverly/Morgan Park and the host/co-producer of The Frunchroom. He also runs the blog Our Man in Chicago, where this article was originally published in different form.